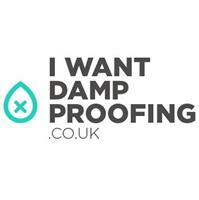 I Want Damp Proofing - Damp Proofer, Plasterer based in Houghton le Spring, Tyne And Wear. With over 30 years in the industry we put our success down to our personal involvement with our costumers and our comprehensive industry knowledge (genuine trade's people) . specialising in damp decay ,timber treamtreat -wet rot,dry rot ,woodworm and consideration. Whether your property is suffering from penetrating damp or condensation rest assured we have the solution for you .our experienced highly skilled team carry out a detailed inspection and assessment of your property.once initial diagnosis is complete we then ensure the correct specification for its control and eradication. Iwantdampproofing.co.uk as part of ramshaw property care team we believe we have a really good grounding in property maintenance and refurbishments,this is because our team ore well trained and time served trade's people .this make us highly competent in building works from home extensions to full house refurbishments .